"I simply carried on in the same old way because that's all I know. I'm a fraud. I've always known it deep down, and now I've been sprung." It was refreshing to read a book about an older woman and the issues she was facing. Anna is 49 years old, an introvert, research scientist who has just had her funding cut. Wondering what is next in life for her, she decides to journey to a remote island off the Australian coast for a year. Throughout the year Anna will meet new friends, fall in love, but more importantly, make a journey of self discovery. 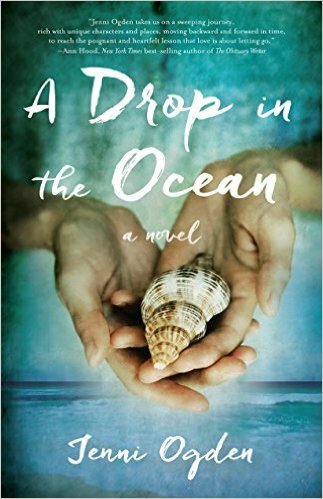 Immersing herself in island life, Anna helps with the turtle research and becomes involved with other islanders in their daily lives. One cannot help but appreciate the amount of research Ogden has gone into for this story. I enjoyed learning about the marine conservation efforts for turtle research and the very real issues surrounding Huntington's disease. It is written so well it reads like a biography, even autobiography. You will listen to Anna and the array of emotions that run through her over the course of the year. Life on the coral cay was idyllic and, even when Anna travelled to visit her mother in Scotland, I likewise enjoyed the Shetland island descriptions - two extremes in island living. "A pedestrian account of a dried up, middle-aged academic's broken dreams."